To a certain kind of people, the present is the best of times. When the antenna of the internet reaches out into each industry as well as the future, when AI is coming towards us, each sector starts to call for the lead dancer of the era, who are ambitious, passionate, imaginative and innovative. With the restructuring of world order and economic order, countless giants and great products are emerging: Taobao, QQ, WeChat, Baidu, Xiaomi, Didi, 360… Each great product is changing and reshaping the life of each individual. The automobile is no exception. In 2010, when Ken Ying, Founder and Chairman of PATEO Group, started PATEO with a forward-looking insight, and assembled a group of imaginative, creative and ambitious peer geeks to empower auto manufactures with telematics, a brand new automotive era – the era of intelligent vehicles was approaching at an accelerated pace. Today, PATEO has become a world leading telematics brand in only 8 years, connecting global mainstream auto companies with internet firms, building a telematics application ecosystem designed to change the entire auto industry, and leading the future of global intelligent vehicles. What has made PATEO? Right time, and right people. We may know by a handful the whole sack through several stunning figures about the team. What’s 70%? It is the percentage of Chinese telematics elites who are working for the PATEO group. Such a figure reveals the fact that telematics talents are now in short supply, while also best interpreting the fact that PATEO is now a globally leading telematics brand with a wide business coverage. As a world leading telematics brand, PATEO possesses internationally leading hardware, software and cloud platform capabilities; has created 32 plus international and domestic innovations, obtained approximately 1050 patents, pioneered many firsts in the industry, and developed the “Qing Series” core technical platform; and is now building the next generation telematics ecosphere that incorporates automobile, internet, mobility, home and entertainment, with the aim to take the lead in getting everything connected and transform the future of the automotive industry. Currently, PATEO is providing telematics service for mainstream auto brands worldwide, including Volkswagen, Audi, Porsche, Bentley, Lamborghini, Volvo, Citroën, DS, SAIC, Dongfeng and BAIC, hence a trendsetter of global intelligent vehicles. At PATEO, there is another figure which is very close to 70%, i.e. 68%. Statistics show that currently PATEO team consists of about 720 members based in Tier 1 and Tier 2 cities across the country. Among them, more than 500 are R&D staff, mostly holding a Master’s degree or above, and boasting 5+ year work experience in the fields of auto manufacturing, auto electronics, internet, speech, map, communications operation, IT technical consulting and so on, accounting for 68% of the whole team. Such a high proportion is extremely competitive even from a global perspective. It might give you an idea if we make a comparison with some of the giants: The R&D staff of communications giant Huawei accounts for a proportion of 45%, which has created today’s Huawei, while the figure for Alibaba is around 40%, which has given rise to the Empire of e-commerce. Apart from the team culture of PATEO, this proportion also reflects how ambitious Ken and the PATEO team are for the future. In addition to being the Founder & Chairman of PATEO Group, Ken also plays another role – a geek, which is as unique as it is charming; this is also why he is hailed as the “Steve Jobs of the Auto Industry”, and the word “geek” also represents the collective identity of the PATEO team. Geeks are a group of people walking in the forefront of each sector, full of the geek spirit of advocating technology, freedom, innovation and the ultimate. It is such a spirit that is gradually becoming the mainstream ideology that leads to success in the internet era and even the further future. In the internet era, the victory-determining counterweight has already started to lean towards imagination and creativity. In the upcoming era of artificial intelligence, imagination and creativity will be of greater importance. PATEO geeks are just the ones who are imaginative, creative and ambitious for telematics, uphold the values of ultimate quality, ultimate experience and ultimate interaction, and have been taking the lead in gradually turning automobile from a simple conveyance to a smart terminal in the past eight years. In their imagination, future automobile will be AI-empowered, or even transformed into more engaging forms. Ken has disclosed that currently the PATEO R&D team covers the 17 most promising telematics areas, including software, hardware, cloud, ecosystem application, and finance & payment security. They not only have the present but also the future of intelligent vehicles in their hands, which will guarantee that PATEO possesses the leading capabilities to continuously empower OEMs. “Let me reiterate that the turnover rate of senior-manager-level or above employees of PATEO was 0 in 2017. It was 0 despite the fact that they were lured by 3 times higher pay! PATEO has built a team with shared values through 8-year accumulation! Grateful to my team!” Not long ago, Ken posted such a message on WeChat Moments with great pride. He definitely has reason to be proud: Presently, telematics is undoubtedly the most favorable tail wind across the world. As the fight for talent intensifies, it is normal to poach them by offering a several times higher pay, but the turnover rate of PATEO senior managers was 0, which is not only extremely amazing, but also priceless. A stable core team is of critical importance to any enterprise, because it is the foundation for an enterprise to ensure consistent implementation of strategies and tactics. Looking around, industrial giants like Alibaba, Tencent and Huawei all possess an iron army which is highly competitive, independent and yet stable, so that they are able to build up the well-renowned business empires, e.g. Jack Ma and his “Eighteen Arhats”, Pony Ma and Allen Zhang. Despite the hardships along the way, the stable core team has allowed PATEO a smooth path throughout its 8-year journey to become a leading telematics brand. The stability of the core team has been able to ensure strategic and tactical consistency without internal strife and turbulence, so the whole team can twist into a rope - stick together to explore and pioneer more possibilities in telematics. The stability of the PATEO team should be attributed to its “internal mechanism for selection of the management layer”. It is understood that most managers of PATEO are selected from the grass roots through cultivation and training – outsiders are quite rare. Those who have grown up in PATEO fully buy into PATEO values and show a sufficient sense of belonging to it. Shared values, a well-established promotion mechanism and a stable core team have produced a significant white hole effect. More and more telematics talents have been attracted by its reputation. 100 engineers joined PATEO at the beginning of 2018 alone. In addition to the several reasons mentioned above, PATEO’s considerable investment in R&D is another important reason why PATEO is able to maintain the stability of the core team and attract outstanding talents. Statistics show that PATEO’s investment in R&D each year accounts for 28% of its total revenue. Such a proportion of investment in R&D is pretty high even in the global context: In 2015, among all global tech giants, Qualcomm ranked number 1 by spending 22% of revenue on R&D, followed by Facebook (21%) and Google (15%); In 2016, Qualcomm clinched first place again (23.31%), and Huawei surpassed the well-established giants like Google and IBM with 14.65%; in 2017, among the 3 domestic giants (BAT - Baidu, Alibaba and Tencent), the highest percentage of revenue spent on R&D was 14.4%. By investing as high as 28% of revenue in R&D, PATEO not only provides a powerful capital guarantee and a broad platform & space for the R&D team, but more importantly, offers excellent fertile ground for the creation, innovation and bold exploration of its R&D staff. Since 1999, from QQ and QQ Mail to WeChat and King of Glory, why has Tencent always been able to launch a great era-dominating product at the right time? This is mainly attributable to the ecosystem team structure of Tencent which always allows more than one team to work on the same type of products, with the aim of creating great solutions amid competition. A similar ecosystem mechanism is taking shape in PATEO by virtue of such a high proportion of R&D investment. Currently, the whole team is split into at least 39 small groups to work on the 17 key areas for R&D of the cutting-edge telematics technologies in the industry, as well as the forward looking technologies for the coming decade. Not long ago, the world’s first secure telematics payment solution, a joint development of PATEO, NXP, UnionPay, Baidu Cloud and BAIC BJEV, was formally introduced, which has opened up the new era of telematics payment. As automobile continues to integrate with the internet, AI and big data, creation of a telematics ecosystem is made possible, and disruptions and changes are happening all the time. However, this also means the width and pace of competition are both intensifying, the era of “survival of the fastest” will soon be ushered in. This is an opportunity as well as a challenge presented by the era. 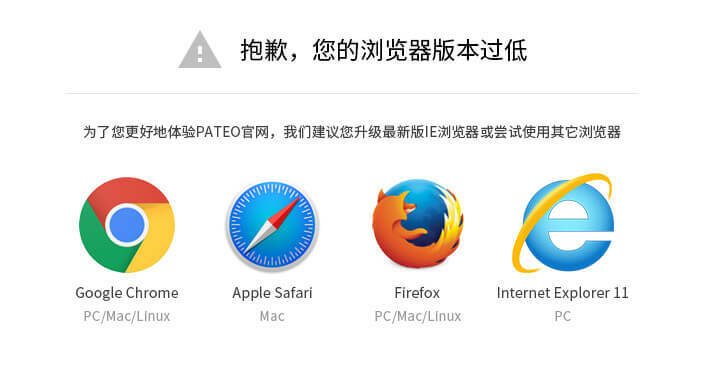 In the future, PATEO will become a powerful “Workshop for Final Assembly of Internet Capabilities”，so as to provide OEMs with one-stop T services. It will combine a variety of interactive products, such as telematics / big data / AI / voice / map / voice communications / OTA / security / account / third-party deep APIs / hundreds of CP/SP platforms, including the ones for IoT and mobile phone, to build a real mobility ecosystem, and deliver the best experience and intelligence to users, thereby helping automakers create value and seize opportunities. Up to now, PATEO’s deployment in the telematics ecosystem has achieved initial success. 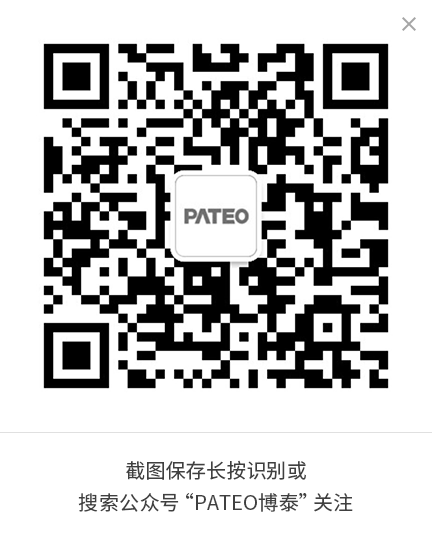 Through value sharing and open collaboration, PATEO has established in-depth cooperation or strategic cooperation with numerous industrial giants, including Nuance, Here, NXP, Corning Glass, Zeiss, Gracenote, Didi, Suning.com, Jingdong, Kugou Music, Apple, Google, PPTV, IQIYI, TravelSky, Umetrip, Ximalaya, Youdao Translation, Moji Weather, China Internet Plus Group, maoyan.com, EZParking, Meituan, Huafeng Weather, ok619.com, CARELAND, tuhu.cn, NetEase, Tian Ma and BOE, with the aim to build its circle of friends and ecosystem empire in the telematics field, and thereby lead the ecosystem-based mobility era of intelligent vehicles. This set of data is more convincing: in 2017, the market share of main PATEO products ranked the top, while its new business and strategic cooperation increased by 1500% and 800% respectively. PATEO is racing all the way at a 10 or 20 times faster pace. In the new trend of CASE (Connected, Autonomous, Shared and Electric), PATEO may further quicken its pace in the future.